A few years ago (six to be exact) when I first converted to a vegan diet, eating out was a challenge. A BIG challenge! I was still an early student of the “vegans eat this and not that” and therefore I stumbled my way through more than one mishap. It didn’t happen over night ya’ll it was a process, mainly because the lack of choices. As a victim of a city that offers predominately two main stream entertainment avenues, shopping and eating, I prefer the later. Mishaps still happen no matter how hard we try but boy my city is making it damn impossible. 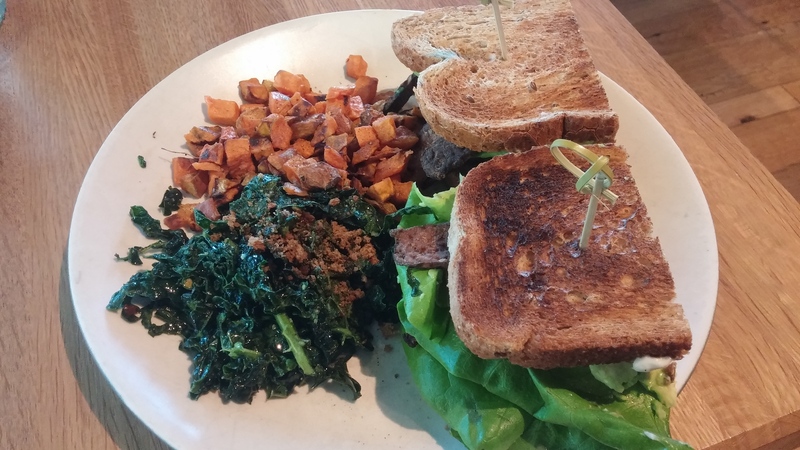 Check out some of the amazing vegan food I ate just in the last week. This may be old news to you but perhaps it is new news. You don’t even have to be vegan ya’ll to enjoy these delicious local dishes. They. Are. That. Good. 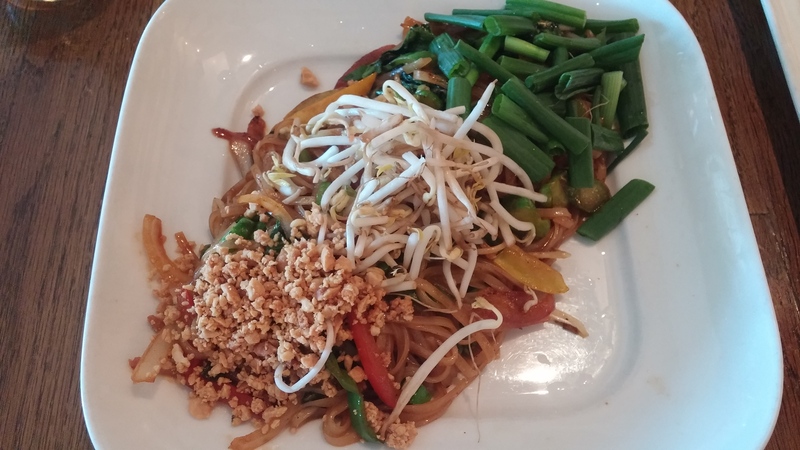 With two locations in Dallas, Pakpao is a Thai restaurant worth visiting. Sure Thai food is known for being vegan friendly but what I love about is Pakpao is they list a “vegan” category on their menu, where they offer three different vegan dishes. That’s taking the guessing and elimination out of the equation for us vegans. Big thumbs up for that alone but their food is absolutely delicious too. This Pad Thai didn’t need any added tofu, it was very hearty and the flavor was both sweet and spicy. The atmosphere is lively and fun and both locations offer patio dining; umm hello 70 in February! They have a full bar if you drink and plenty of gluten-free options if that’s a concern. Next up is True Food Kitchen. Now this place has been around for a year or so in our parts and since it’s a chain, perhaps you’ve eaten here yourself. I’m highlighting this though because I believe this is one of those “vegan” dishes that could win a carnivore over. This sandwich called “Andy’s Favorite“TLT” comes loaded with tempeh, lettuce, tomato, avocado and vegan mayo on toasted whole grain bread. Don’t you just love it when a place takes the time to toast your bread? The combination of smokiness, freshness, and crunch takes you back to the most classic of all sandwiches. True Food Kitchen has an exuberant crowd (must have something to do with eating healthy) and I love their use of plants, herbs, and veggies as décor. You feel healthier just being there. They also clearly mark their vegan options, again big brownie points! Lastly I bring you a unexpected culprit. If you’re not familiar with Café Momentum then let me introduce you. What started as pop-up dinners across the metroplex, now has it’s own brick-n-mortar (bonus it’s around the corner from my condo!). The majority of the staff comes form juvenile detention and into Cafe Momentum who is providing them life and work skills that they hope will put the rest of their lives on a positive trail. The food here is divine but the experience alone is worth the visit and it makes you feel like you’re contributing to their cause. Although their menu is small they do have a few vegetarian options that can made vegan. Don’t throw the word vegan around at these kids though, politely tell them you have an allergy and they will send over one of the mature adult staff members. The cozy restaurant is simply adorned but feels chic and warm in the heart of downtown. 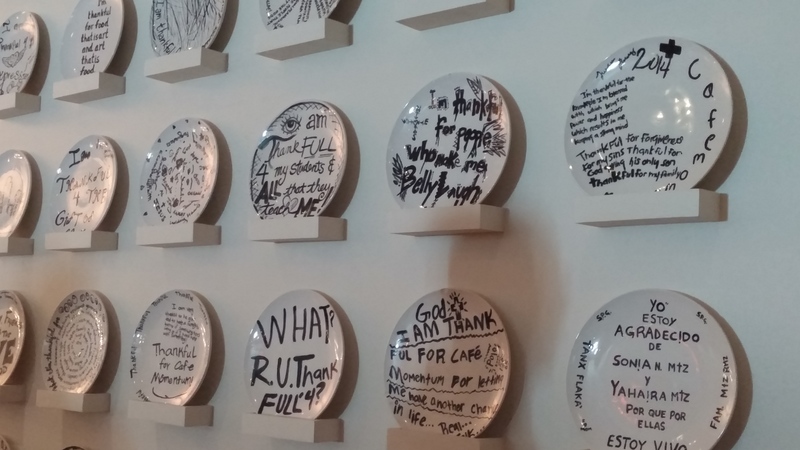 Make sure you check out the plate wall, it make you grateful for the life that YOU have and the privilege to be eating there. I look forward to proving these type of foodie finds for you every month. 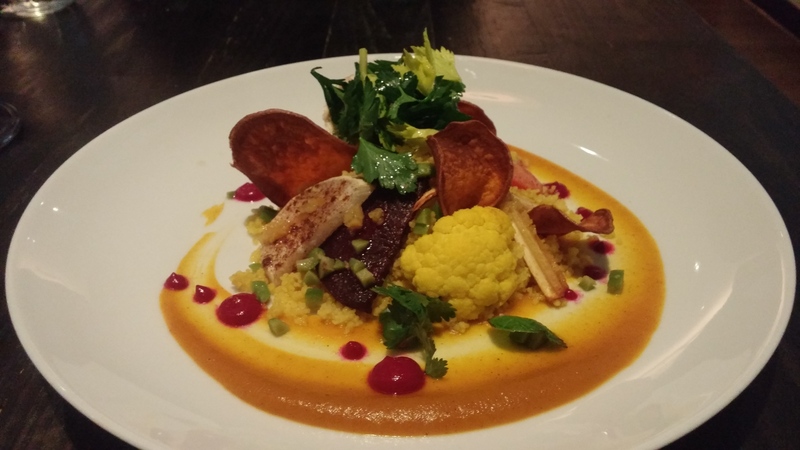 Eating vegan is here to stay and it’s becoming clear that restaurants are taking note. No more excuses ya’ll. Have a great weekend.